Cafe Cristalinas in San Pedro is one of the better coffee places. They get supplied by the local farm, roast, pack and sell there own coffee, all in one small place. There's no better way then to enjoy an espresso with the small of fresh roasted beans. They also give tours through the plantations and show the process, today I'm a spectator from the back of a horse. 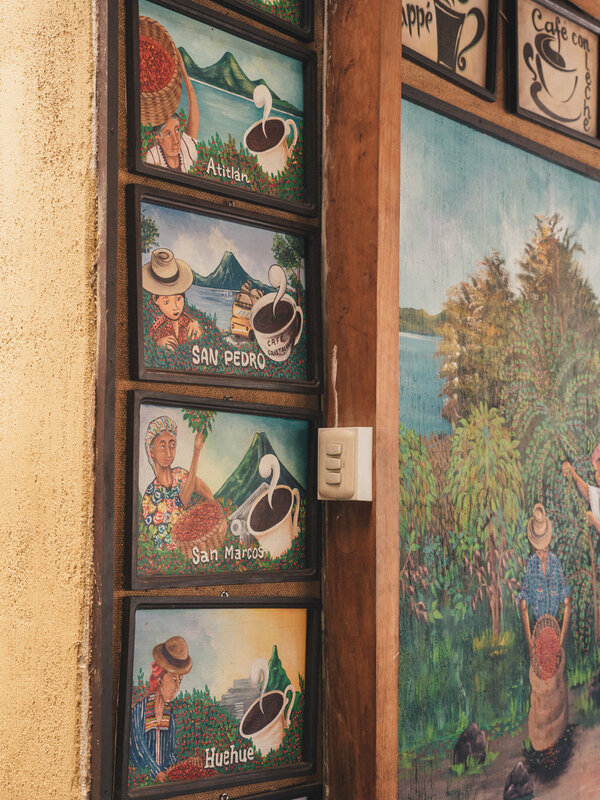 Guatemala has been the biggest coffee exporting country in Central America for a long time. Currently most coffee comes from Honduras. 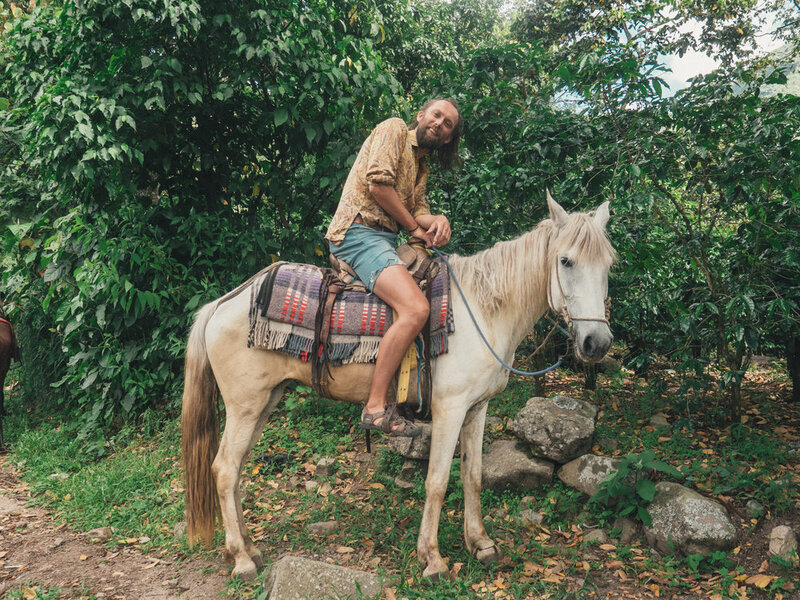 Pedro the guide lends me a horse and shows me around. He tells me about the harvesting. The steep hill sides around Lake Atitlan are the perfect climate for growing coffee, but it's difficult for cars to reach the plantations because it is so steep. 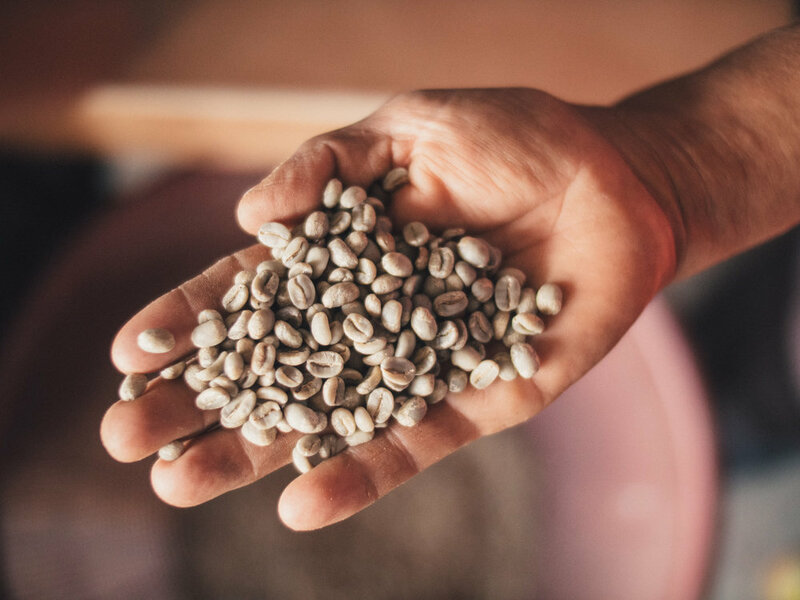 Most pickers have to walk all the way to the nearby villages to deliver the coffee beans, sometimes in bags up to 75 kilo. Currently it's quiet on the plantations. It's out of season, most of the beans are still green. Some people are sorting beans, but much more I don't get to see. Back at the cafe Luis is roasting a batch of coffee, the whole street is filled with the gorgeous aromas. After the beans are cooled off they are put in bags and are ready to be sold. The horse riding was a lot of fun, I have to do that more often. Somehow it just feels like the right way of travelling through the countryside.